You see, it did take a lot of guts for me to jump the gun and buy at market when I saw that price was breaking above 1.0200. I decided to put a tighter-than-usual 70-pip stop on the trade since it was a breakout play anyway. Woe is me, that breakout turned out to be a fakeout! Price pulled back just above the 1.0100 handle towards the middle of the day as Aussie bulls grew a bit exhausted from all the risk rallies. Come to think of it, AUD/USD has been gaining nonstop for the entire week. 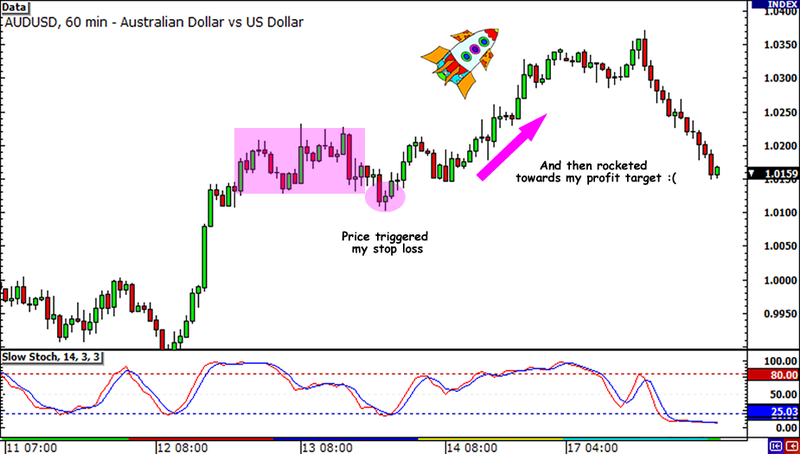 Had I widened my stop a little, probably to a hundred pips or so, I could’ve stayed in the move and locked in some pips at the 1.0300 area for a 1:1 return on risk on my first position. Sadly, it didn’t turn out that way and I’m left with another 0.5% dent on my account. Do you guys have any tips on how I can improve my trading? 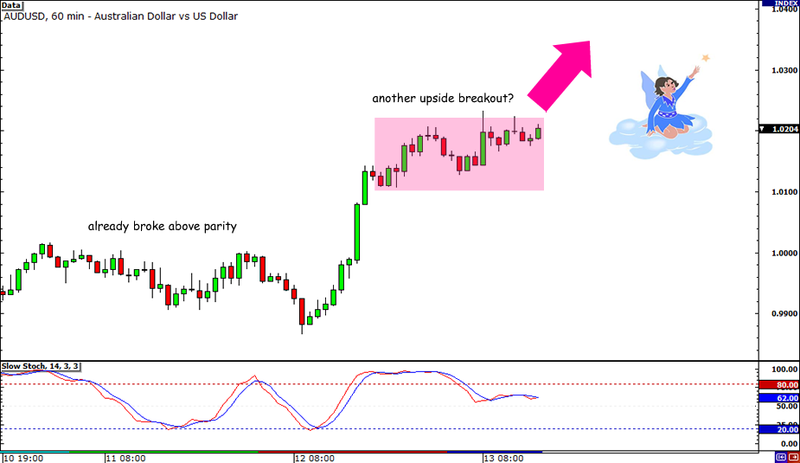 I already listed my trading strategies in an earlier blog post and I was wondering if there was anything I could add. Help me out please! This is it, my friends! I finally chose a direction and bought AUD/USD! Since the FOMC didn’t turn out to be a market mover, I concentrated on the economic reports released from Australia a couple of hours ago. Not only did Australia’s employment numbers come in better than expected, the unemployment rate even surprised to the upside at 5.2% from August’s 5.3%! For the technical side of the trade, I’m looking for a break in the 1.0200 resistance that has been holding for most of the day. A while ago when the pair looked like it was breaking a bullish pennant so I decided to buy at market. And just like what Dr. Pipslow has been preaching, I probably should’ve been patient and waited for a better entry price. Apparently, the ECB’s expectations of a VERY moderate regional growth is taking its toll in markets. In addition, traders are also starting to pay attention to China’s weaker-than-expected trade balance data released last night. In any case, I set my stop at 1.0150, just below the Asian session lows and I set my profit target at 1.0500. I’m also worried about the 1.0250 handle posing as resistance since it’s near the top DATR, so I plan on placing my stop to break even as soon as it reaches the area. What do you think of my trade idea? Has the pair rallied enough in the past couple of hours, or are we just seeing a pause? Oh, and can you suggest any tweaks I can make with my trading plan? With AUD/USD just breaking parity, I’m thinking that the upcoming FOMC minutes release will be a good catalyst for either a bounce or a clean break. That’s why I’m so excited to take a peek at the minutes of their latest monetary policy meeting, which will be released just a few hours from now. I’m more giddy about the FOMC minutes than the first official trailer of The Avengers movie! Okay, maybe not. Now, where was I before I got distracted by Chris Evans in his Captain America suit? Oh yes. Back then there’s a chance that the minutes would reveal that the Fed policymakers were close to implementing QE3. If that’s still the case, we might see a huge dollar selloff, which could push AUD/USD even farther away from parity. On the other hand, if the FOMC minutes show that the committee members didn’t have the slightest intention to dole out another round of stimulus measures, we could see a relief rally for the Greenback, which could push AUD/USD back to its former lows. Since I’m looking to hold a longer-term position with this trade, it would be best if I stick to my STA trading strategies. If the pair breaks above its current highs after the report is released, I could jump in the rally and add every 100 pips, possibly until the 1.0500 or beyond. But if AUD/USD goes back below parity, I could hold on to my short position and add every 100 pips until the .9500 area. Of course I’ll also be keeping close tabs on the Australian data set for release in tomorrow’s Asian session. 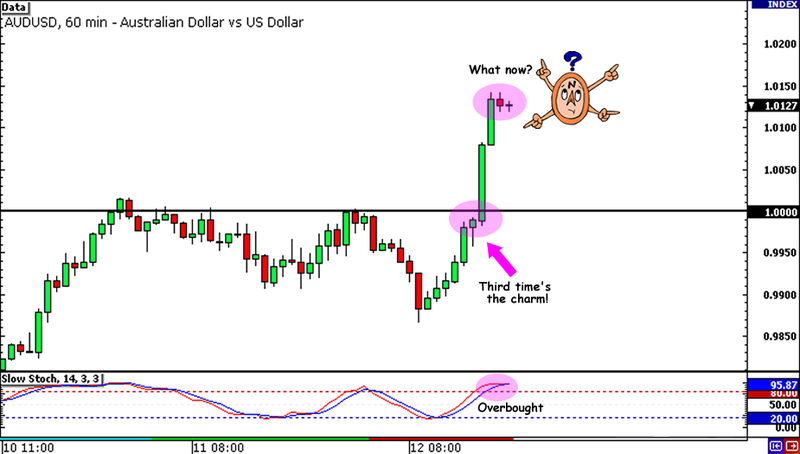 I plan to base my bias on the FOMC minutes and my decision to hold on to the trade or not on the Australian jobs data. Let’s lock in pips today, friends!